Around The World In 80 Days is an adaption by Toby Hulse of the Jules Verne book and is directed by Alexander Ferris. The story is about a Victorian gentleman who takes a wager that he can go around the world in 80 days. It is told by four actors who take on various roles throughout the play. 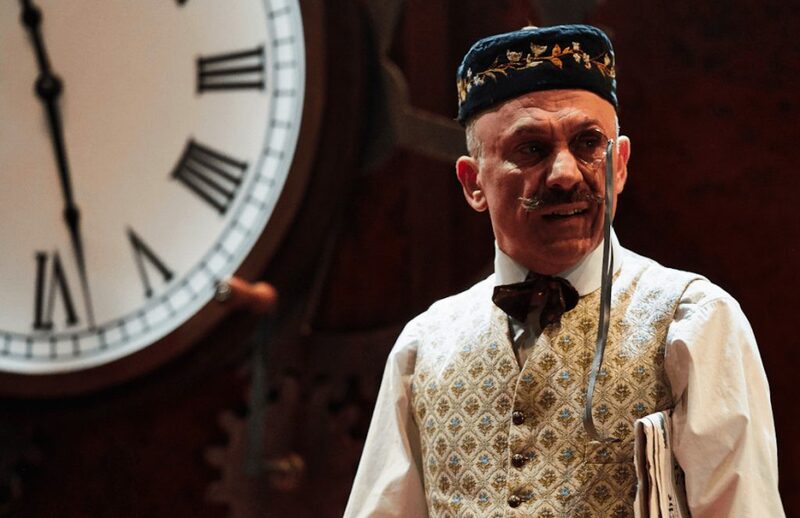 The four main characters are: Passepartout played by Joe Alessi; Fix of the Yard by Darren Kuppan; Jules Verne played by Dan Parr; Mr Phileas Fogg played by Robert Pickavance all who have amazing strength, energy and talent. This play has everything. It’s fast paced and energetic. It has lots of action from train journeys to boat rides and as you go along for the ride you can’t help but cheer them on. It uses simple tricks and techniques to express what is going on and with a very simple set it has some incredible ideas behind it. The use of props are incredible from a suitcase turning into a horse and carriage to an umbrella telling you the amount of days that have to the simple act of going through a revolving door. Then there’s the costumes, beautifully made and even though sometimes a simple trick to represent a character the ideas behind it bring each character to life right before your eyes. So if you fancy an adventure and a whirlwind trip around the world this is a play for you. Leeds Playhouse has created something amazing with their pop-up theatre. The small space creating something warm and atmospheric bringing you closer to the actors in the play as if you’re in the story itself. It will be surely missed when the refurbishment of the main theatre is completed later this year. 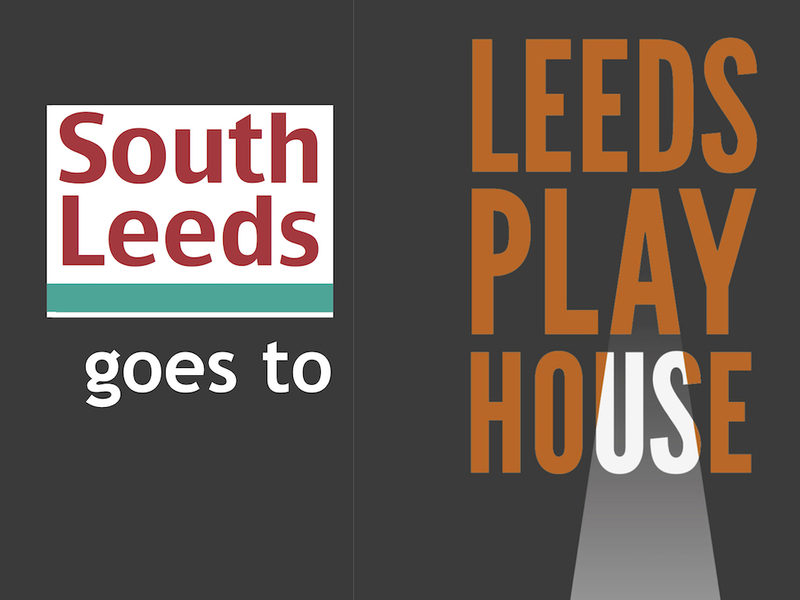 We encourage anyone living or working in South Leeds to use this website to tell their news. You can either use the Create an article for South Leeds Life page, or email us at: info@southleedslife.com.